is formulated specifically to aid visual function and assists in peripheral circulation, antioxidant. 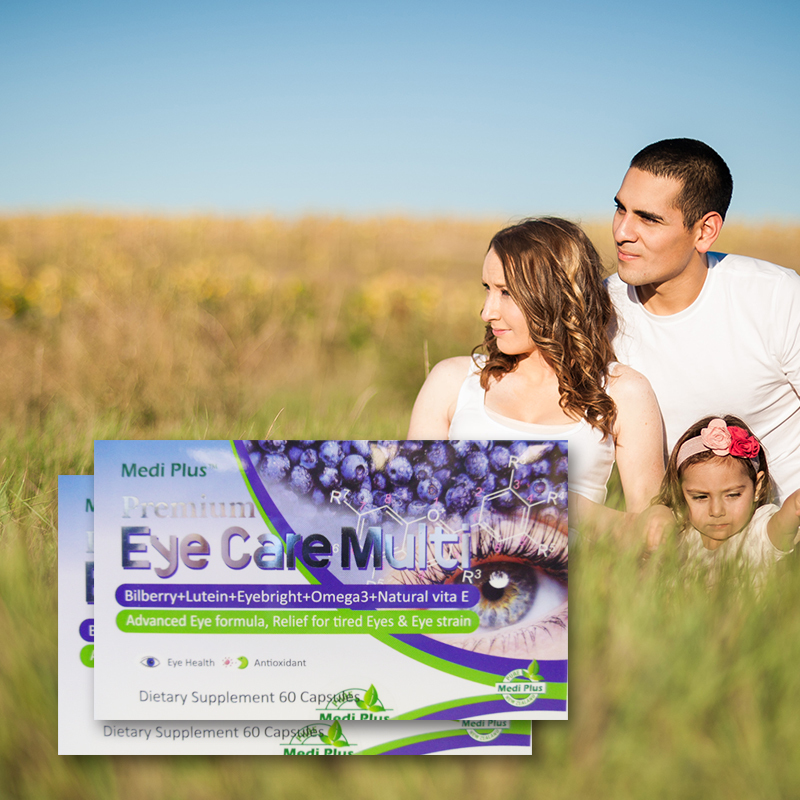 This high strength formula combines the bilberry together with herb eyebright, Lutein, Omega 3, vitamin E, which are all potent antioxidants, healthy circulation and beneficial for soothing sore eye and maintaining healthy visual function. Bilberry extract is a highly concentrated source of anthocyanidins, the active component, which are beneficial for eye health and antioxidant and healthy circulation. Eyebright is an astringent herb to help relives inflamed eyes. Herbalists use eyebright as a poultice with or without concurrent administration of a tea for the redness, swelling, and visual disturbances caused by blepharitis and conjunctivitis. The herb is also used for eyestrain and to relieve inflammation caused by colds, coughs, sinus infections, sore throats and hay fever. Lutein was found to be concentrated in the macula, a small area of the retina responsible for central vision. the high-energy photons of blue light. that diets high in fish oil promote cardiovascular and heart health. TAKE ONE CAPSULE DAILY OR PROFESSIONALLY ADVISED. STORE IN A COOL DRY PLACE, BELOW 30C AND AVOID DIRECT SUNLIGHT. - For E-mail enquiries simply fill out the form below with your questions, comments or suggestions and we will respond as quickly as possible. Thank you for supporting Medi Plus Nutrition.